I wonder if it's actually a battery box or something else. Difficult to tell,with out measurements,and a top shot would have been nice.I think it is a battery case,but I could be wrong. I have one exactly like it - except the Ford script is pressed into the side. It's a battery box. Will a 6V battery fit inside? None of mine fit. Was made to hold the cells. I sure wish my 6V battery came with lift handles like this box has! I have one that looks the same but have yet to find a 12v that would fit and be capable of providing enough power to do what it needs to do. This is not a battery box! It is a battery case, for the actual battery and cells. It slips into the metal battery box. The one you have pictured is an aftermarket. As I said above, mine holds the cells. 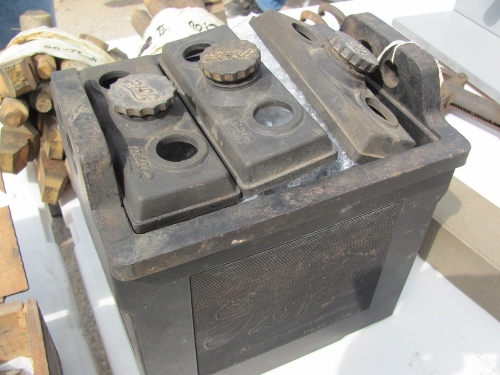 When they started using lead acid batteries? That wood case held the battery cells. Most early batteries are built that way. 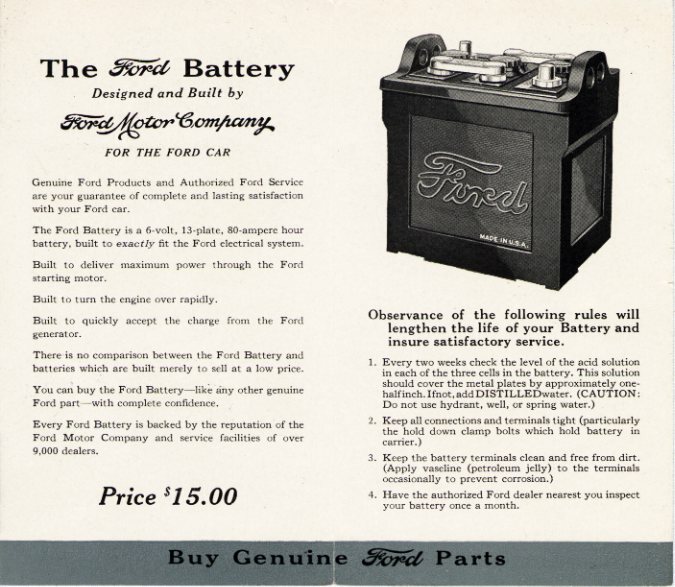 Ford came out with its own mfg and used a rubber based stuff for earlier work in the steering wheels and other things Ford, a full case holding the cells. 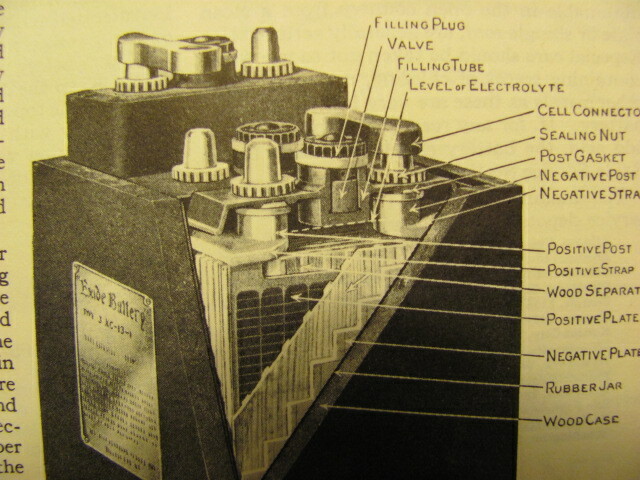 The battery case pictured above was introduced in 1925. The handles on each side help support the top lid on the battery box. 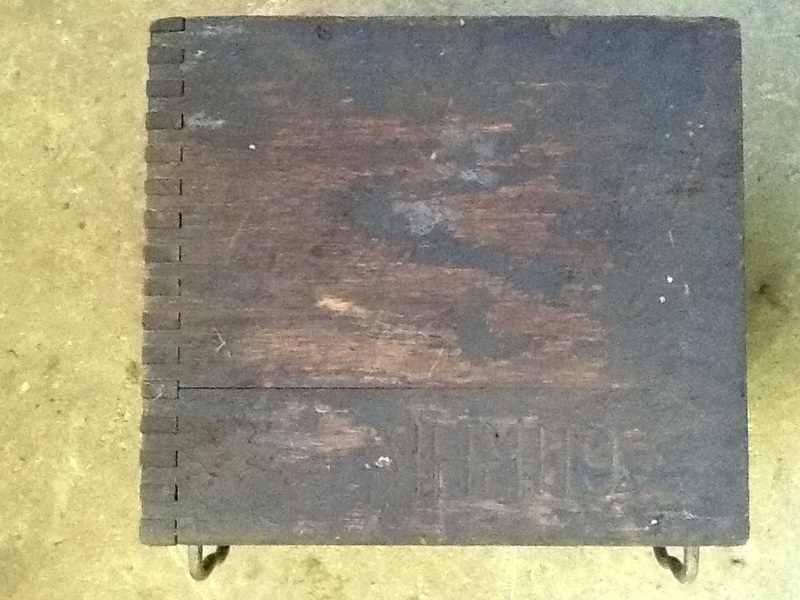 Previous to that, the battery cases were wood with two steel handles, and a large Ford script on one side. I have NOS examples of both styles, along with a NOS battery box and lids.